Question: Should Bid 2 become a game? Stolen from the card game named "The Resistance". Credit to the creators of the game. Also, credit to Nickito for inventing this sort of format. The game is set in a secret spy headquarters. In the headquarters, there are normal agents, and double agents. 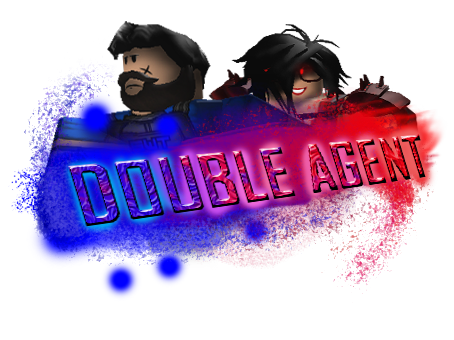 The double agents are imposters, they are not with the headquarters, and are trying to stop them undercover. The double agents know each other. In the game there are 5 missions. Each mission needs a certain number of people on the mission for the mission to complete. For each mission, there is a leader. There is an order of which people get to be leader. The leader must choose the people for the mission. If the leader is a Double Agent, they can only choose 1 Double Agent to be on the mission. After the leader of the mission selects who they want to go on the mission, the group gets to vote to approve the mission or not. Once anyone approves or denies the mission, the leader is not allowed to change the people on the mission. If the majority of people vote yes, the mission is a go. Otherwise, the mission does not start. Instead, there is a new leader who gets to choose their own team. Once a team is approved, the participants in the mission must PM me "Success" or "Fail". If you are a normal Agent, you must say "Success", but if you are a Double Agent you can choose to say "Success" or "Fail". If at least 1 person selects "Fail", the mission fails (unless the mission states otherwise). It will not be revealed who selected what, but I will reveal if the mission has failed or not, and how many people voted "Success" and "Fail". The headquarters wins if they have 3 successful missions. The double agents win if they stop them from getting 3 successful missions. Independent roles may have other ways of winning. All Double Agent-related PMs must go to the host, alliances are allowed, etc. I will select an MVP for the person who I think played the best. Also, no editing/deleting posts and no PMing people quotes from the host. Agent: Powerless role that works for Headquarters, while trying to catch the Double Agents. Chief Agent: Knows all Double Agents except the Godfather. Commander Agent: Can negate 1 vote whenever they are on a mission. Detective Agent: Once a game, can check someone to see who they hacked. Shadow Agent: Shows up as Double Agent when hacked, but they think they are just a regular agent. Disguised Agent: Shows up as a regular agent to Hacker. Double Agent: Powerless double agent, that is just trying to make the agents fail. Godfather: If the Double Agents lose, the Godfather can guess the identity of the Chief Agent. If they are correct, the Double Agents win. Hitman: Has a specific mission they must get on and fail, they beat all if they do so. Veteran: The Veteran starts off as an independent role that has to choose a side. The first mission the Veteran is on, they can choose Success or Fail to decide which team they will join. If they choose Success, they will become an Agent. If they choose Fail, they become a Double Agent. Hacker: One random player starts out with Hacker. They can choose one player to "hack" and learn their alignment. The hacker ability is then passed on to the person who was last hacked. Agents: They are the policemen that were marked as agents for the mission. Logical Agent - If was added on the mission, he will know one of the people he chose who voted "Success" or "Fail". Leading Agent - Can negate someone's vote. Confused Agent - If was added on the mission, has a 50% chance of failing the mission instead, just if the user is inactive. Normal Agent - Just a normal agent who is willing to make it a success. Idiot Agent - Shows up as blue, but is Agent. Thinks as a normal Agent. Double Agents: They are the policemen who are just corrupt, wanting to ruin the police, due to vengeance. Corrupt Agent - Knows one of the Agents and the exact role. Double Agent - Oh well. Disguised Agent - Shows up as blue, but is Double Agent. Demonic Wanderer - Can threaten someone from putting into the mission; rendering them unable to participate. Wins if specified target (that is given by a specific role) is negated. Loses if all two attempts are wasted. - Profiler: Checks someone's color each night. Bump. I need more bids, and can people say their gripe with this bid so the bidder knows? Do you mean shows up as red? BOI did it originally, I think it was to set it apart from before. You did it in DA1, so i continued it.